Just 2 tutoring students today–the other 2 had a sports tournament, I think. I created a personalized spelling assignment for another student, and did the usual reports and preps for my students. I posted on My Church Journey blog. I also did a couple short edits for clients. I wrote a letter to my 4 sets of grandkids, using Microsoft Word, and made them a funny picture by using a combination of “shapes” and “clip art” from the “insert” tab. The kidlings love to get snail mail 🙂 I also sent a separate email to their parents (my 4 daughters and their men), and also to my son (who isn’t a parent yet, LOL)! Family connections are important, right? And I got busy planning the setup for my new email list and newsletter I’ll be getting going shortly. 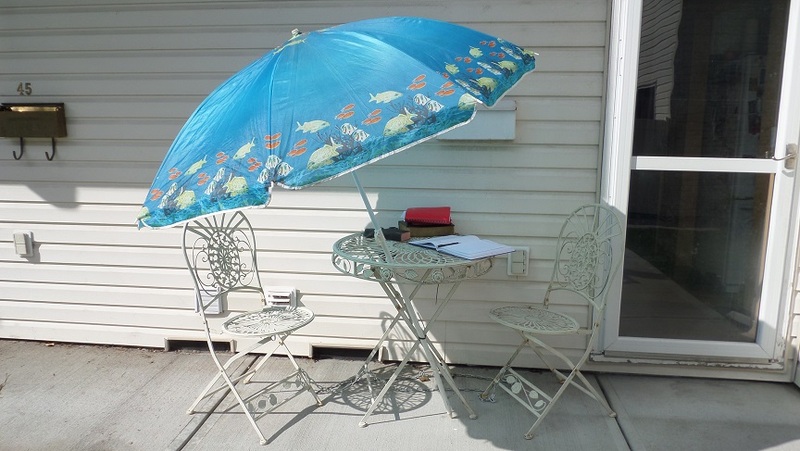 It was a really warm, lovely afternoon, so I sat outside at our little bistro table, working on the email list stuff for a good couple hours. And that’s my “business” for the day … then there’s all the non-business stuff, but I think I’ve written quite enough!